Jammu and Kashmir is ready to welcome tourists and Lok Sabha elections will be held here in a peaceful manner, said Governor Satyapal Malik on Saturday. He urged candidates of political parties to desist from making provocative speeches that could “incite terror and threaten peace in the valley”. "Candidates of both parties (National Conference and People’s Democratic Party) will be given as much security as they need for the elections. I would request candidates not to make speeches that could incite terror and threaten peace in the valley," he said. Uttar Pradesh chief minister Yogi Adityanath on Saturday heaped praises on Prime Minister Narendra Modi, saying the prime minister's leadership made China, for the first time, to retreat from Doklam in Bhutan. Speaking at an election rally in Assam's Hojai, Adityanath said, "China tried to forcefully enter India's borders and threaten our security in Doklam, the government under the leadership of Modi ji displayed strong will power and our soldiers gave China a befitting reply. For the first time, China was forced to retreat." A Kolkata kite-maker has been making brisk business by selling kites with symbols of political parties on it. The SP-BSP-RLD alliance in Uttar Pradesh will kick off its joint campaign for the coming Lok Sabha elections on Sunday, holding its first rally in Saharanpur's Deoband. The top leaders of the parties will address the Deoband meeting just days before Saharanpur and seven other western Uttar Pradesh constituencies go to the polls in the first phase of the Lok Sabha elections on 11 April. Lieutenant General (Retired) Sarath Chand, former Vice-Chief of Army Staff today joined the BJP in the presence of Union minister and party leader Sushma Swaraj. Congress's newly anointed general secretary for Uttar Pradesh East, Priyanka Gandhi, today led a roadshow across Fatehpur. BJP president Amit Shah, who is contesting the Lok Sabha election from Gandhinagar seat, took out on a roadshow in the city before which he asked those present there to chant "entire Kashmir is ours." Shah garlanded the photographs of Jan Sangh founders Deen Dayal Upadhyaya and Shyama Prasad Mookerjee before the roadshow, at Ahmedabad. There, he asked people present to say, "Jaha hue balidan Mookerjee, woh Kashmir hamara hai, sara ka sara hamara hai." This translates to "where Mookerjee sacrificed his life, that Kashmir is ours, entire Kashmir is ours." PDP chief and former Jammu and Kashmir chief minister Mehbooba Mufti had recently criticised Shah, saying he was "daydreaming" about abrogating Article 370 of the Constitution that provides special status to the state. Former army chief Dalbir Suhag, it is being reported, is likely to join BJP today. 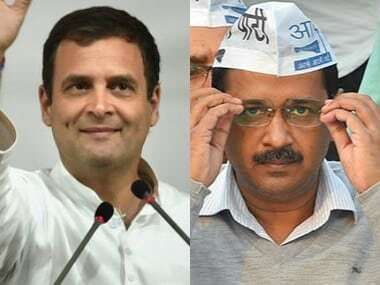 A meeting was held between Aam Aadmi Party chief Arvind Kejriwal, and party leaders Manish Sisodia, Sanjay Singh and Gopal Rai, on the party's possible alliance with Congress and for a review of the campaign so far. News18 reported source as having informed it that AAP's position is that they will enter the gathbandhan only if it includes 18 seats: seven in Delhi, 10 in Haryana and one in Chandigarh, and not otherwise. Congress chief Rahul Gandhi, speaking at Haridwar in Uttarakhand, slammed the BJP once again for effectively doing away with party veteran LK Advani. "Look at their treatment of their own guru. Who is Narendra Modi's guru? LK Advani. Narendra Modi has kicked out his own guru and yet has the temerity to talk on Hindu dharm in which the guru is the most important thing," Rahul said. Congress chief Rahul Gandhi, speaking at Haridwar in Uttarakhand, sought to reply to many of the charges brought against him by the likes of BJP leaders and especially Narendra Modi, in campaign speeches. He spoke on portions of the Congress manifesto that the BJP has especially hit out against. "The concept of NYAY comes with the intention of eradicating poverty in the 21st century. It is a surgical strike on poverty," he said. Countering the BJP's charge that the Congress manifesto is disrespectful of army personnel, Rahul said, "If a CRPF jawan is martyred, he does not get martyr status. We have clearly written in the manifesto that para-military youths who are martyred will get martyr status." Speaking in his third rally of the day, at Balod in Chhattisgarh, Modi said he believes in the "DBT" that stands for "Direct Benefit Transfer" while Congress believes in a "DBT" which stands for "Direct Bicholiya Transfer". The word "bicholiya" stands for "middlemen". He also spoke on the Congress manifesto's promise to amend Armed Forces (Special Powers) Act. "I want to ask the Congress people who wish to strip the army of their rights to go without their own security cover for once," Modi said. BJP veteran Uma Bharti's Jhansi seat has gone to Anurag Sharma in a new list of candidates released by the BJP for Odisha, Haryana, Uttar Pradsh, Rajasthan and Madhya Pradesh. Narendra Modi is addressing his first rally in Chhattisgarh since the Election Commission announced the dates of the polls. He has once again referred to the Congress manifesto, saying that it tries to take away from the army's freedom. "In Odisha, from where I am coming, Congress leaders are running around, looking for parties to join," he said. In a new candidates list released by the Congress on Saturday, Shatrughan Sinha has been fielded from the Patna Sahib constituency he currently holds. Sonia Gandhi, addressing a Congress event at Delhi said "a new definition of patriotism" is being taught in this day and age. She added that compromises needed to be made in terms of expression and living in order to be considered a patriot anymore. She added that "BJP can’t be selective" about respecting martyrs. "They should also respect Rajeev Gandhi, they should respect Indira Gandhi," she said. She further slammed the BJP's unkept promise of Rs 15 lakh in every account. "Has anyone got Rs 15 lakh in their bank account? When it comes to farm loan waiver, this government says they don’t have money...on the other hand, this government waives loans to industrialists," she said. UPA chairperson Sonia Gandhi is addressing the Congress's Jan Sarokar rally 2019 in Delhi. "When the UPA was in power, civil society had been in sync with the Manmohan Singh government. Laws and schemes came which helped several ordinary people realise their dreams," she said. "I have no doubt that the promises being made by the Congress now will be realised in their entirety if the party is voted to power," Sonia added. Speaking at a rally in West Bengal's Alipurduar, Trinamool Congress chief Mamata Banerjee called Prime Minister Narendra Modi a "liar". "TMC will lead the formation of new government at the Centre after defeating Modi. You didn't look after your wife. How will you look after the masses," the Bengal chief minister asked. Andhra Pradesh chief minister N Chandrababu Naidu, speaking Telugu Desam Party manifesto release said manifestos have become a "farce" nowadays with some parties claiming that they will do a lot without engaging with the intricacies. The Election Commission is learnt to have sought a factual report from poll authorities in Maharashtra on Prime Minister Narendra Modi's speech in Wardha following a complaint from the Congress. The Congress Friday moved the EC against Modi's speech in Wardha city in which he said the opposition party was "scared" to field its leaders from constituencies where majority dominates, alleging that the comments were "hateful and divisive". The Congress chief has arrived at his first rally venue of the day, at Srinagar in Uttarakhand. A delegation of the Indian Union Muslim League (IUML) on Saturday lodged a complaint with the Election Commission of India against Uttar Pradesh Chief Minister Yogi Adityanath over his remark on the party. “We came today to Election Commission of India to lodge a complaint with regards to the tweets and statements made by Yogi Adityanath, leaders from the BJP and its allies including Delhi MLA Manjinder Singh Sirsa and the troll army of the BJP. They are calling us virus, terrorist and calling our flag a Pakistani flag. Such statements are maligning us,” IUML national secretary Khurram Omer said. The YSR Congress Party on Saturday released its manifesto for the Lok Sabha and Assembly Elections in the state with a focus on empowerment of marginalised sections of the society, especially women. The manifesto was released by YSRCP president YS Jagan Mohan Reddy at party's head office here. The party acknowledged farm distress and proposed 'Rythu Bharosa' scheme that will provide Rs 12,500 per annum, free crop insurance, interest-free loans to farmers. For empowerment of women, the manifesto promises Rs 15,000 per year under 'Amma Vodi' welfare scheme. The manifesto promises Rs 50,000 per year for Development of Women and Children in Rural Areas (DWCRA) under the YSR Aasara scheme. Union minister Giriraj Singh has filed his nomination from Begusarai seat in Bihar. Giriraj had earlier been unwilling to contest from the Bihar seat which will see him go against CPI leader Kanhaiya Kumar. Samajwadi Party MP from Kannauj, Dimple Yadav, filed her nomination papers on Saturday in the presence of husband Akhilesh Yadav and other senior leaders of the party. The Biju Janata Dal (BJD) has released a video of 72-year-old Odisha CM Naveen Patnaik exercising at his residence. At end of the over two-minute video, Patnaik says, "Getting ready to fight for the people of Odisha." The video is believed to have been released to quell rumours that the chief minister is unwell. While Prime Minister Narendra Modi toured Sundargarh and Sonepur in Odisha, state chief minister Naveen Patnaik addressed a rally at Nabarangpur. 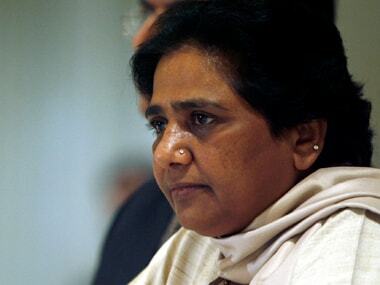 Bahujan Samaj Party (BSP) supremo Mayawati on Saturday sided with the BJP patriarch LK Advani over his blog post, saying it gave “reality check” on the functioning of the “anti-people” Modi government. “LK Advani’s reality check admonition on the functioning of the Modi government on the party’s foundation day is a serious no-confidence against them,” Mayawati tweeted while taking a dig at the incumbent government. As far as media strength is concerned, the ruling BJD, clearly enjoys an edge over its opponents, the BJP and Congress. Three of its leaders, Cuttack Lok Sabha MP Bhartruhari Mahtab, who is contesting from the same seat, and two Rajya Sabha members — media tycoon Soumya Ranjan Patnaik (MLA candidate from Khandapara Assembly segment) and educational entrepreneur Achyuta Samanta who is fighting for the tribal-dominated Kandhamal Lok Sabha constituency — have their media units. The first votes of the 2019 Lok Sabha Polls have been cast in Arunachal Pradesh by service voters. A remote Indo-Tibetan Border Police (ITBP) unit on the eastern tip of North East began service voting by secret postal ballot on Friday, at Lohitpur in Arunachal Pradesh. "Do you want a majboor sarkar or a majboot sarkar," Modi asked Sonepur. Modi brought up the particular problems of tribals and weavers in the region, alluding to the water scarcity "in spite of the presence of the Mahanadi and Tel rivers in the region". I have travelled across India and I've seen a wave. But some people can't see this massive wave," Modi said at Sonepur. He slammed the Congress and BJD governments that are and had been in power in Odisha. "These are leaders who neither want the poor to succeed nor will they do anything to help them. They want all the riches for themselves," he said. Speaking at his second Odisha rally of the day, Narendra Modi extolled the virtues of Odisha and asked why the BJD government has not been able to make the most of the natural resources of the state. Minutes after joining the Congress, Shatrughan Sinha made a gaffe when he said, "Shakti Singh Gohil ji (Bihar Congress In-charge) has been backbone of BJP in Bihar and in Gujarat." When corrected, Sinha admitted that the fact that it was the BJP's foundation day could have played a role behind his mistake, that he was new to the game and that his mistake was not deliberate. After nearly three decades with the BJP, actor-turned-politician Shatrughan Sinha, who had been unhappy with the saffron party, formally joined Congress in the presence of senior party leaders on Saturday. Sushma Swaraj has asked Rahul Gandhi, who brought up LK Advani at a speech on Friday, to "maintain some decorum" in his speech. "No party ever thought of carrying out an air strike and surgical strike. It's indicative of strengthening India. 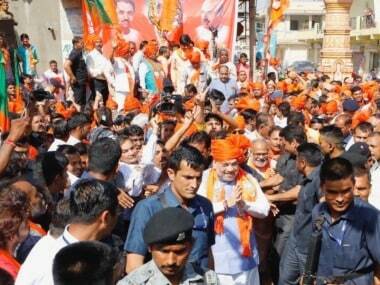 A strong government is necessary for strong and empowered India," Modi said in Odisha. He repeatedly struck out at the BJD government in Odisha, invoking everything from the formation of Chhattisgarh and Jharkhand and their relative "success" in comparison to Odisha to the Naveen Patnaik government's disavowal of the Ayushman Bharat scheme to highlight the BJD government's failure. "It's with a heavy heart and immense pain that I finally bid adieu to my old party, for reasons best known to all of us, on 6 April, which also happens to be the Sansthapna Diwas of BJP," wrote Shatrughan Sinha on Saturday. He is set to joing the Congress today. "BJP is the country's largest party," said the prime minister in Sundargarh. He stressed that everyone from women to dalits to adivasis is with the party. "The BJP was formed out of the sacrifice of karyakartas," said Narendra Modi, adding that in Bengal, BJP workers are allegedly routinely killed. Modi spoke on the BJP's Foundation Day, invoking the ethos of the party and holding forth at length on how much the party has "soldiered on" with courage. Narendra Modi has begun speaking at Sundargarh in Odisha. "It's not a PM who is visiting Sundargarh. A pradhan sevak of Odisha has come here," Modi said. Vivek Oberoi, who has starred in the controversial film PM Narendra Modi said on Saturday that "very powerful people have approached courts through their lawyers to obstruct the release of the film." He added that they were working hard to release the film on 11 April. Union Minister and BJP's candidate from Amethi Lok Sabha constituency, Smriti Irani offered prayers at a temple in Gauriganj on Saturday. Punjab chief minister Captain Amarinder Singh has left Congress president Rahul Gandhi's residence after a meeting which is widely expected to have been called in order to arrive at a decision regarding whether the Congress and Aam Aadmi Party will arrive at an alliance. Delhi Congress chief Sheila Dikshit, state in-charge PC Chacko and other Delhi Congress leaders are also party of the meeting. Sheika Dikshit has voiced her disagreement with the alliance earlier. Dravida Munnetra Kazhagham chief MK Stalin said, “I have campaigned in nearly 30 parliamentary constituencies till now. I have sensed the public mood, they are fed up of Modi in Centre and Edappadi K Palaniswami government in the state and people want to put a full stop to these governments. West Bengal chief minister Mamata Banerjee will address public meetings at Barobisha and Kalchini in Alipurduar. Congress president Rahul Gandhi will campaign in Jammu and Kashmir's Srinagar and address public meetings at Almora and Haridwar in Uttarakhand. Congress general secretary Priyanka Gandhi will also be on the campaign trail with a roadshow at Fatehpur in Uttar Pradesh. In his Pune interaction with students, as well as on Twitter, Rahul reiterated that he was against political hatred and for love. Congress president Rahul Gandhi congratulated Sreedhanya Suresh from Wayanad district who created history on Friday by becoming the first adivasi student from the state to crack the UPSC examination. BJP president Amit Shah will address a rally in Gandhinagar, the constituency he is fighting the General Elections from. He is travelling to Gandhinagar in a roadshow and bike rally. Prime Minister Narendra Modi will address rallies in Odisha's Sundargarh and Subarnapur. The BJP has concentrated its efforts on the Biju Janata Dal-ruled state which will see simultaneous Assembly elections. Modi has tweeted ahead of his visit to the state as well. Today is the Bharatiya Janata Party's Foundation Day. Prime Minister Narendra Modi has tweeted on the occasion, noting the hard work of BJP karyakartas through the past 39 years. Lok Sabha Election 2019 LATEST updates: BJP president Amit Shah, who is contesting the Lok Sabha election from Gandhinagar seat, took out on a roadshow in the city before which he asked those present there to chant "entire Kashmir is ours." Garlanding photographs of Jan Sangh founders, he asked people present to say, "Jaha hue balidan (SP) Mookerjee, woh Kashmir hamara hai, sara ka sara hamara hai." This translates to "where Mookerjee sacrificed his life, that Kashmir is ours, entire Kashmir is ours." Congress chief Rahul Gandhi, speaking at Haridwar in Uttarakhand, slammed the BJP once again for doing away with party veteran LK Advani. He said that Narendra Modi has kicked out his guru and yet has the temerity to talk on Hindu dharm in which the guru is the most important thing. Rahul also sought to reply to many of the charges brought against him by the likes of BJP leaders and especially Narendra Modi, in campaign speeches. BJP veteran Uma Bharti's Jhansi seat has gone to Anurag Sharma in a new list of 24 candidates released by the BJP for Odisha, Haryana, Uttar Pradsh, Rajasthan and Madhya Pradesh. Bharti had earlier written to BJP president Amit Shah, repeating her decision not to contest the elections. Narendra Modi, addressing his first rally in Chhattisgarh since the Election Commission announced the dates of the polls, at Balod, once again referred to the Congress manifesto, saying that it tries to take away from the army's freedom and referring to it as a 'dhakosla patra'. 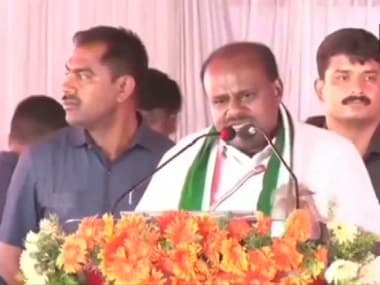 He also mentioned the chopper scam and asked his audience repeatedly if the state government has fulfilled its farm loan waiver promise. UPA chairperson Sonia Gandhi, addressing the Congress's Jan Sarokar rally 2019 in Delhi said when the UPA was in power, civil society had been in sync with the Manmohan Singh government. She also slammed the present BJP government, saying that a "new definition of patriotism" has risen now. "Those who do not accept diversity are being called patriots," she said. Speaking at a rally in West Bengal's Alipurduar, Trinamool Congress chief Mamata Banerjee called Prime Minister Narendra Modi a "liar". "TMC will lead the formation of new government at the Centre after defeating Modi. You didn't look after your wife. How will you look after the masses," the Bengal chief minister asked. A delegation of the Indian Union Muslim League (IUML) on Saturday lodged a complaint with the Election Commission of India against Uttar Pradesh chief minister Yogi Adityanath over his remarks on the party. “We came today to Election Commission of India to lodge a complaint with regards to the tweets and statements made by Yogi Adityanath, leaders from the BJP and its allies including Delhi MLA Manjinder Singh Sirsa and the troll army of the BJP. They are calling us virus, terrorist and calling our flag a Pakistani flag. Such statements are maligning us,” IUML national secretary Khurram Omer said. Speaking at his second Odisha rally of the day, Narendra Modi extolled the virtues of Odisha and asked why the BJD government has not been able to make the most of the natural resources of the state. "What Congress did at the Centre, Naveen babu's BJD government has done to Odisha," he said. 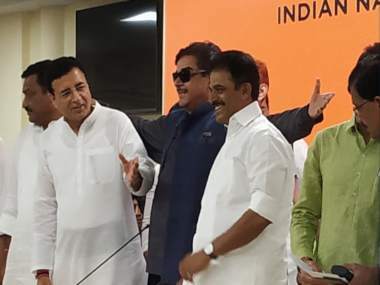 After nearly three decades with the BJP, actor-turned-politician Shatrughan Sinha, who had been unhappy with the saffron party, formally joined Congress in the presence of Randeep Singh Surjewala, KC Venugopal and several other senior party leaders on Saturday. Speaking in Sundargarh, Narendra Modi on Saturday invoked everything from the formation of Chhattisgarh and Jharkhand to the Naveen Patnaik government's disavowal of the Ayushman Bharat scheme to highlight the BJD government's failure. "Odisha has remained away from the ambit development, but not anymore, your chowkidar has resolved to make your situation better," Modi said. Invoking the names of BJP leaders like Atal Bihari Vajpayee and LK Advani, Prime Minister Narendra Modi, at his rally in Sundargarh in Odisha said, "BJP is the country's largest party." He stressed that everyone from women to dalits to adivasis are with the party. Delhi Congress chief Sheila Dikshit, state in-charge PC Chacko and other Delhi Congress leaders are in a meeting at party chief Rahul Gandhi's house to discuss whether an alliance between Congress and Aam Aadmi Party will solidify at all. Sheika Dikshit has voiced her disagreement with the alliance earlier. With every day ahead of the first phase of the Lok Sabha election crucial for political parties in building a last-minute rapport with the electorate, it is no wonder that the Bharatiya Janata Party and its Opposition forces will make good use of Saturday, on the campaign trail. Prime Minister Narendra Modi will address rallies in Odisha's Sundargarh and Subarnapur. The BJP has concentrated its efforts on the Biju Janata Dal-ruled state which will see simultaneous Assembly elections. Uttar Pradesh chief minister Yogi Adityanath will also address rallies in Odisha's Phulbani and Berhampur districts. Adityanath is expected to reply to the Election Commission which had sent him a notice regarding his reference to the Indian Army as "Modi ji ki sena" at an earlier rally. The prime minister will also speak in rallies at Nanded in Maharashtra and at Balod in Chhattisgarh. Congress president Rahul Gandhi will campaign in Jammu and Kashmir's Srinagar and address public meetings at Almora and Haridwar in Uttarakhand. Congress general secretary Priyanka Gandhi will also be on the campaign trail with a roadshow at Fatehpur in Uttar Pradesh. Former BJP MP Shatrughan Sinha is expected to formally join Congress on Saturday, after 30 years with the saffron party. BJP president Amit Shah will address a rally in Gandhinagar, the constituency he is fighting the General Elections from. West Bengal chief minister Mamata Banerjee will address public meetings at Barobisha and Kalchini in Alipurdar, while Bahujan Samaj Party chief Mayawati, who has been critical of both the Congress and the BJP, will be speaking to the public at Haridwar and Nainital.